Horribly while the celebration of the American embassy was happening a long-promised violent Hamas protest was also happening. Israeli warnings for the protesters not to rush the border fence (which included dropping flyers) area and IDF soldiers were forced to protect their country. According to the Palestinian Authority, more than 58 were killed, and over two thousand were injured, almost like a human sacrifice to Hamas terrorism. Creating their own narrative, the mainstream media as well as our supposed European allies blamed the violence on the embassy move and accused a disproportionate response. Well not all of Europe, France heard there was gunfire somewhere in the world and immediately surrendered. To back up their anti-Israel agenda, the media is not being truthful about the Gaza violence, not all of it but surely elements within most mainstream media vehicles. Even Fox News which claims to be “fair and balanced” has people like Shepard Smith telling lies, or someone on Outnumbered on Tuesday claiming that Israel doesn’t believe in the two-state solution, another lie (I was listening on the radio and can’t tell who it was). Below I address the falsehoods with the top 7 lies the media is telling you about the Gaza violence. Why seven, well its a long story but understand that seven is a significant day in the Jewish faith. Please read the below and if you have any questions, feel free to email me via the contact link in the red banner on top of the page. 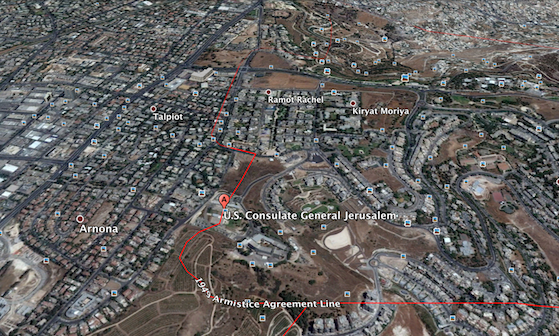 4) The violent Palestinian protests were incited by the US Embassy ceremony. Wrong! 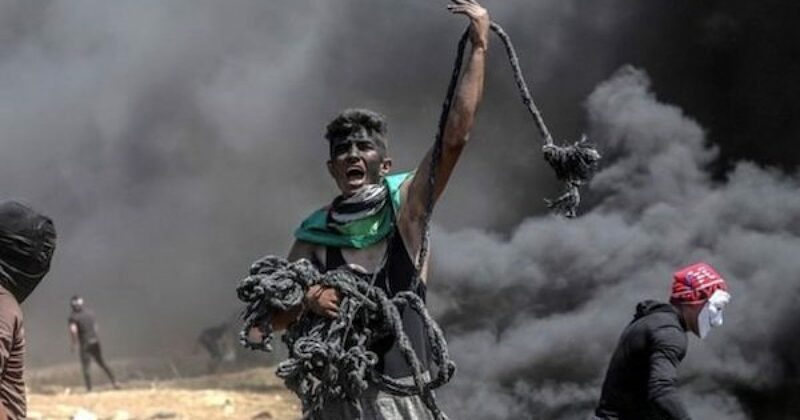 Every year the Palestinians have protest marches on May 15th to commemorate the Nakba (catastrophe), what they call the creation of the state of Israel. This year, Hamas called for weekly violent protests after Friday prayers for weeks before the Nakba, trying to rush the border and gain entry into Israel. The biggest protests were supposed to happen on May 14th as an attempt to ruin Israel’s 70th-anniversary celebration and May 15th Nabka. This ‘schedule’ was announced long before the February 23rd American announcement that the embassy opening would occur this May, years before previous announcements. 5)The violent Palestinian protests were incited by Iran to the U.S. leaving the JCPOA nuclear deal. Wrong. While Iran is paying for the string of violent protests during the past few weeks, their anti-Israel attacks began in February when they sent a drone loaded with explosives from Syria toward Israel. Last week they sent 20 missiles at Israel and the Jewish State counterattacked. 6) The violent Palestinian protesters are peaceful and unarmed. WRONG. Which of the below isn’t a weapon? 7) All the violent Palestinian protesters killed were innocents. Wrong! The IDF said Tuesday that a total of 24 members of Hamas and Islamic Jihad were among the 58 killed in Monday’s violent protests. Hamas disagrees they claim 13 of theirs and Islamic Jihad claims 3. Whether it was 16 or 24, what the media isn’t reporting is that many of these protesters are being forced to sacrifice themselves. Destitute Gazans are receiving $100 per family, bankrolled by Iran, to approach and dismantle the security fence. Hamas threatens non-participants, either storm the fence or die. And they had to know what they were facing, On Monday morning Israel dropped leaflets warning Gazan’s not to attack the border fence because the IDF was using live ammo.